Long time board member to be honored at fundraisher on Monday, March 23. Theatre Ariel celebrates it 18th Anniversary with a special fundraiser on Monday, March 23 at 7:30 PM at the Prince Music Theater (1412 Chestnut Street). The evening honors long-time board member and past president Susan Lodish and features “WORDSMITH” Theatre Ariel’s unique page-to-stage performance that brings theatrical life to the art of two Jewish short stories as well as a performance by Nashirah, the Jewish chorale ensemble. General admission tickets at $54 and VIP tickets including a post-performance reception at $125 are available by calling Theatre Ariel at 610-667-9230. Directed by Aaron Oster, the short story For Only $9.99 by Etgar Keret, writer and director of the acclaimed Israeli film Jellyfish, is a witty story that captures a flavor of Israeli humor and the search for happiness. Goodbye and Good Luck from The Collected Stories by Grace Paley and directed by Deborah Baer Mozes is a love story that pays homage to Yiddish theater, which is the root of American Jewish theater. Nashirah is a 23-voice, community-based choral ensemble dedicated to performing Jewish choral music and led by professional conductor Jonathan Coopersmith. Wynnewood resident Susan Lodish has been an indispensable volunteer and influential force in several non-profit organizations both locally and nationally. Board Chair of Theatre Ariel for 12 years she has been a member of the Board of Directors of the Prince Music Theater for 20 years and currently serves as Secretary on the Board of the Association for Jewish Theater. 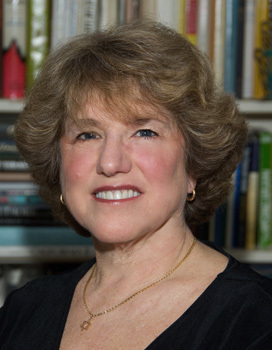 Passionate about theater, she has taught acting classes, coached individual actors and directed plays in schools, synagogues, community groups, and organizations in Philadelphia and New York for over 30 years. Active in the Jewish community, she is part President of the MidWest Region of Women’s League for Conservative Judaism and a former Women’s League Vice President where she has served on the Board of Directors for the past 25 years. At Jewish Federation of Greater Philadelphia she is on the Women’s Philanthropy Board and a former Program Chair. A Board Member of Nashira, her interests also extend to cycling, and she has raised almost a million dollars for ALS Association by riding nearly 13,000 miles on a tandem bicycle with her husband cross-country, down the Atlantic and Pacific coasts, through Scandinavia, South America, Central Europe, Australia, Canada and Israel. Founded in 1990, Theatre Ariel remains Philadelphia’s only professional theater dedicated exclusively to exploring the Jewish experience. With a commitment to regional and world premieres of new Jewish plays, Theatre Ariel has commissioned and produced 48new works. The three-year success of Theatre Ariel’s Ten-Minute Play Festival, resulting in thirty ten-minute plays, has served as a model for similar festivals at several theaters in the United States, Canada and Israel. The company’s touring productions, which often use improvisation and socio-drama to explore Jewish identity, has brought new works of Jewish content to traditional and non-traditional performance venues, schools, synagogues, community centers, churches, conferences and museums. Theatre Ariel is launching a two year oral history theater project “Let My People Go” which will capture the story of Philadelphia’s Free Soviet Jewry Movement.